Recommended for use with Optima™ or S.F.® 4® Premium Staples. Holds a full strip. Built with performance and ease of use in mind this stapler is Jam Free Guaranteed when used with Optima™ Premium Staples. 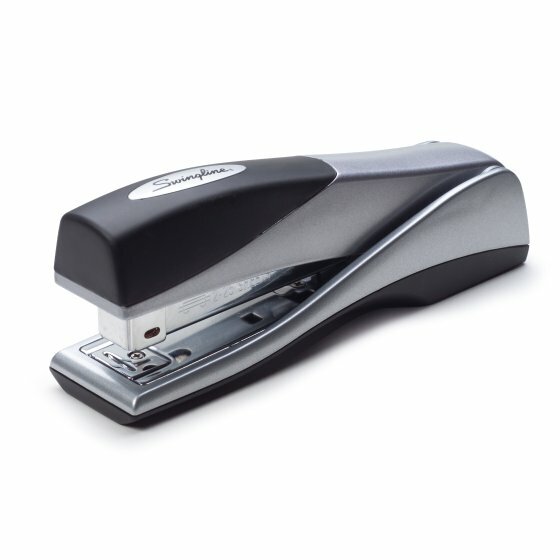 The stapler delivers a perfectly formed staple with each use for reliable, worry-free operation every time. Optima® Grip Full Size Stapler securely staples up to 25 sheets with recommended staples. Perfect for presentations, business reports, multi-page reference documents and more. 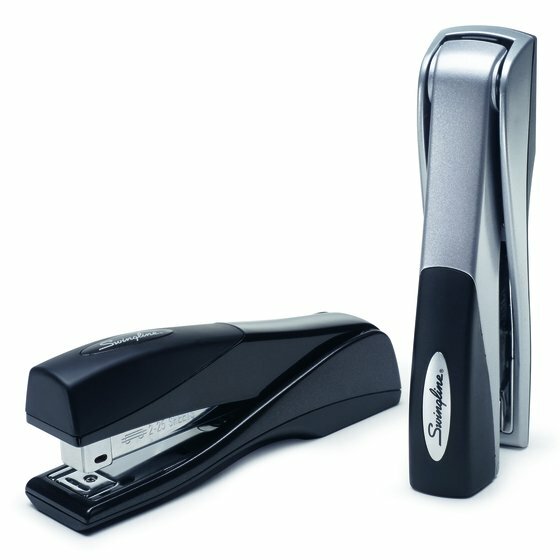 Full size and top loading, this stapler holds a full strip of 210 staples. 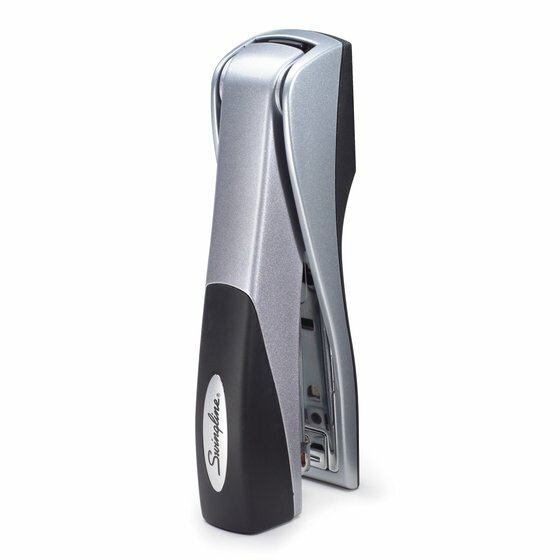 To make handheld stapling more convenient this stapler can be stored vertically on your desktop. The stand-up design makes it easier to grab and staple at a moment’s notice. Plus, it saves space.